I am looking for a reliable SUV that can comfortably accommodate 4 adults (at least) and 3 dogs. Leather seats is a must. I'd like to have 3rd row seating, but not at the expense of cargo room. 2nd row captains chairs are also a bonus, if there is a 3rd row. Ventilated front seats would be great, but not a deal breaker. I've test driven a 4Runner and an enclave and I'm fine with either frame. I currently have an X5 and although I love my German car, I am over the expensive gas and maintenance costs. I need a reliable car that will last for miles! A bit of comfort is also appreciated. 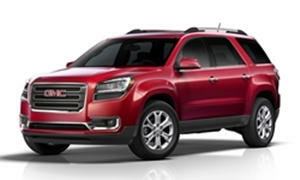 Enclave Premium or a a Acadia Denali will have your vented front seats and both offer largest cargo holding of any crossover along with AWD. In the $20K range you should be able to fin one with 70K miles or so. If you can go up a couple of grand go for the Buick with its longer base warranty. 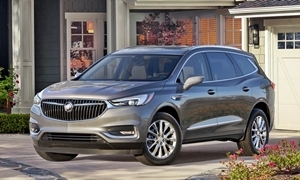 The Buick is one of the quiet smoothest crossovers in the segment. Considering the size of the vehcile you are driving now, you are obviously not interested in the small SUVs and want something bigger. So, for a used mid sized SUV there are a number of decent ones out there. 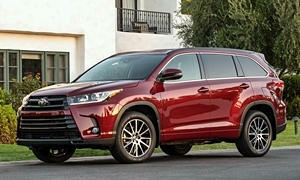 I would start with a used Toyota Highlander which is a better vehicle than the Toyota 4Runner. A 2008 Toyota Highlander in my area with 75,000 miles can be had for $12,000 which is well under your budget limit. A 2013 is worth $15,500 with 76,000 on it although it is a base model. But if you like the 4Runner then by all means go with that - they are reliable. Don't want Toyota? 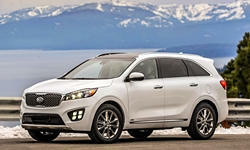 Consider the Kia Sorento or Hyundai Santa Fe. Not quite as reliable as Toyota, they are still good vehicles. A 2013 Hyundai Santa Fe Sport with 41,000 goes for $15,500. So with these you will get a newer car with less mileage for the same money as the Toyota. 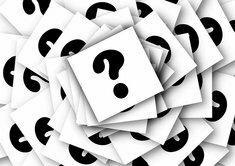 I owned a Buick Enclave and it did not give me trouble over 6 years and 70,000 miles. A recalled water pump was all that needed to be replaced over those 6 years. It drives like a big car which is pretty impressive for something as large as it is. However, as reliable as it was for me I have heard after you hit 100,000 or so the vehicles don't hold up so well from GM. They have cars that can do this, but the Enclave is not one of them. So if you can find a newer one in your price range then by all means consider it - but be aware after about 100,000 miles some major components can start to go wrong for you. The same holds true for the Denali. It is a great car for about 100,000 or so but after that point it tends to be less reliable than Toyota, Hyundai, and Kia. 4Runners are a little more reliable than Highlanders, but they are both extremely reliable. I would go with the Highlander because 4Runners are not comfortable and are only enjoyable when off-roading. These will be your most reliable choices. I agree with everything AcuraT said. The Highlander is my top pick, but here are some others you should check out. 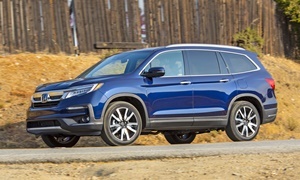 2013+ Honda Pilot: Has a very space-efficient and durable interior. The seats are comfortable. It is more comfortable than a 4Runner and larger than a pre-2014 Highlander. 2015+ Kia Sorento: They are a little smaller than the Pilot, but they will offer nicer interiors. Reliability will not be as good as the Toyotas or Hondas, but not bad at all. The Hyundai Santa Fe (not Sport) is larger and also a great value. Hyundais and Kias depreciate quickly and make for nice used cars. 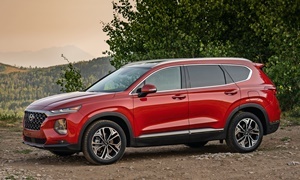 The Traverse, Acadia, Enclave Lambda triplets were designed a while ago and will feel older and cheaper, but they hold a lot for an SUV. They ride comfortably and road noise is pretty subdued. Reliability is my main concern because the engine failure rate was very high from 2009 to 2012. 2013 was more reliable with a midcycle refresh. Don't buy an ex-rental car. Many will be discounted because of this.